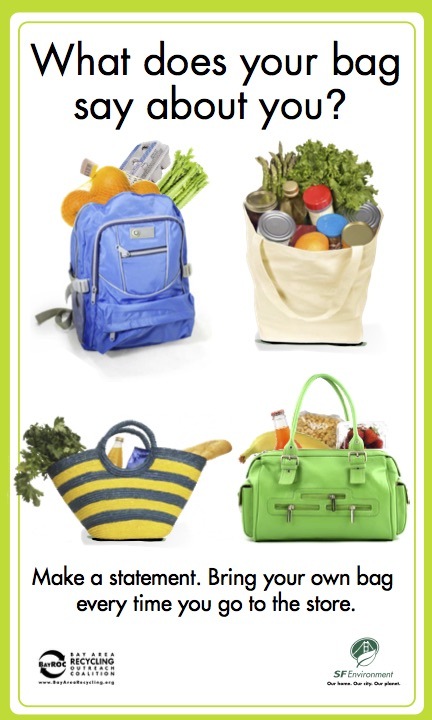 Start a habit you'll be proud to flaunt: remember your own bags every time you go to the store. It's one simple way to go green in your daily life. When people see you're making the right choice, they're likely to do it too. Give a fun bag to someone as a gift and tell them why they should use it. Learn about the latest news on plastic bag bans, litter pollution and lots of other information on how to reduce the use of plastic bags from Californians Against Waste. We asked hundreds of people how they would remember to bring their reusable bag to the store. Here are some of our favorite ideas, broken down by category of shopper.